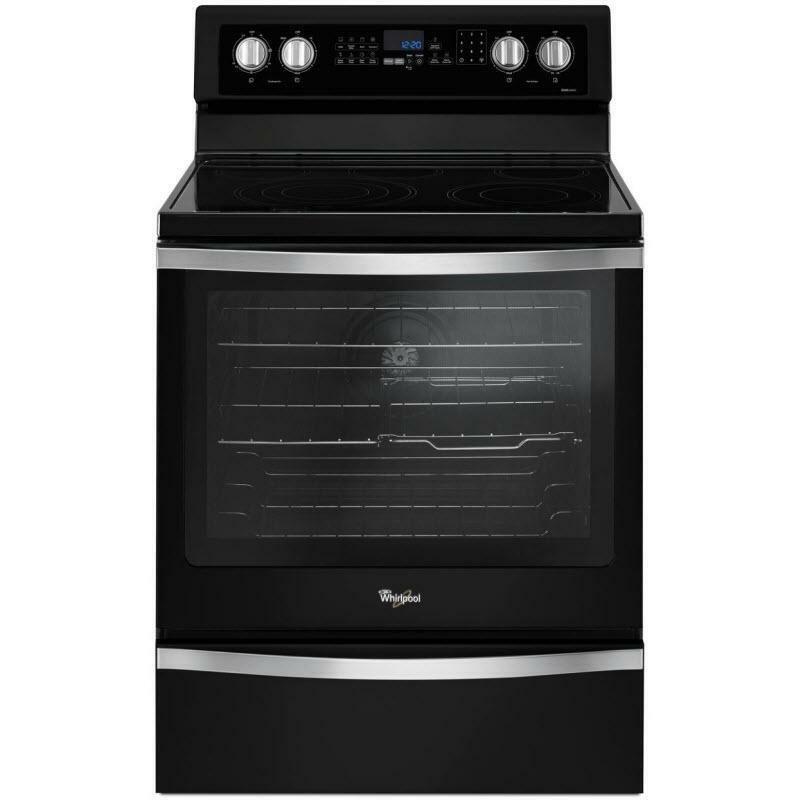 Whirlpool® 6.4 Cu. 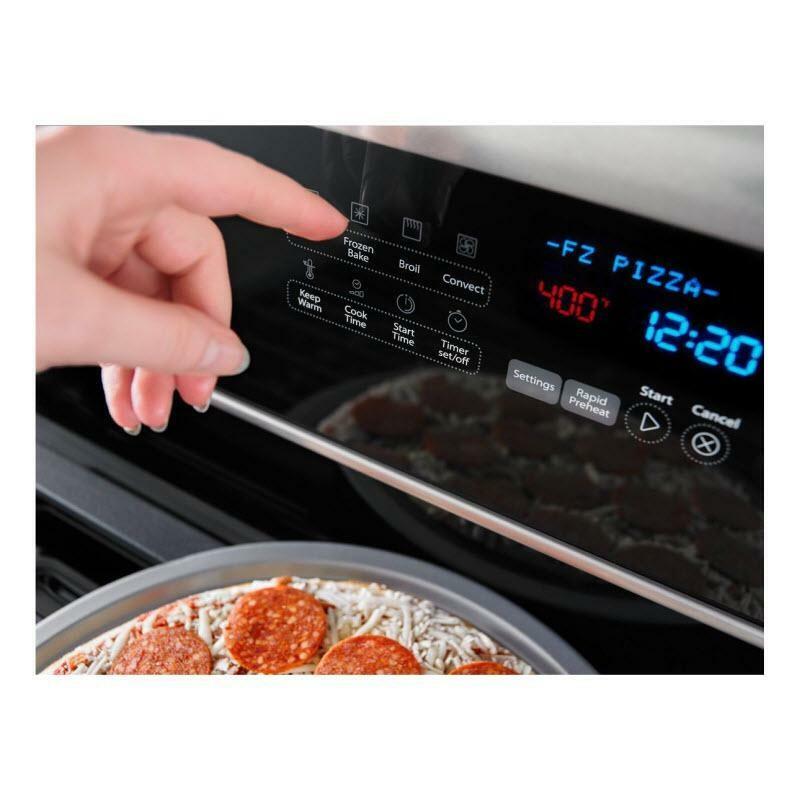 Ft. freestanding electric range with True Convection. 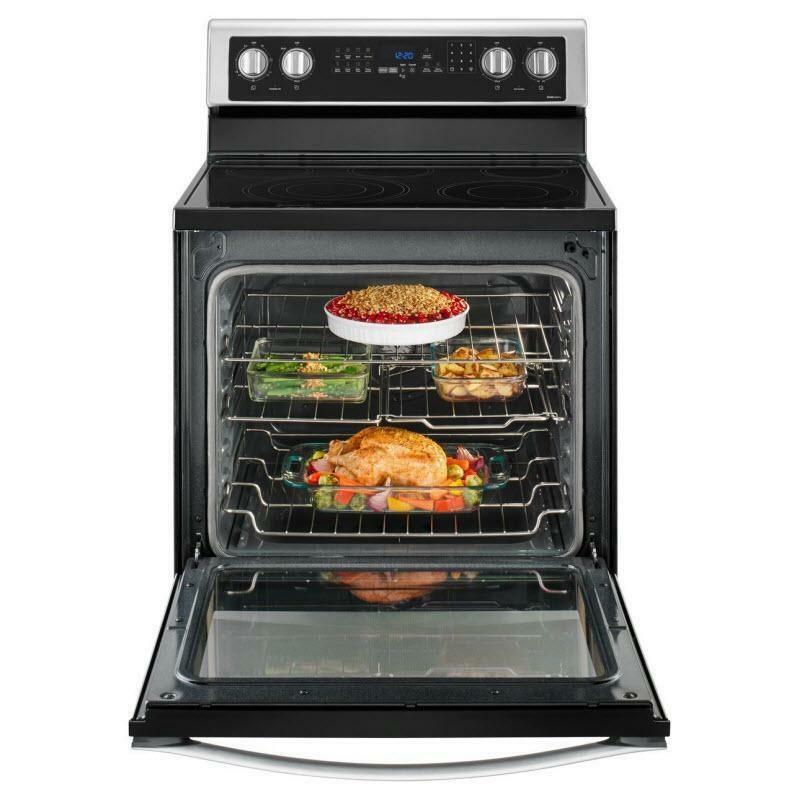 This range features Frozen Bake™ technology, a FlexHeat™ triple radiant element and AquaLift® self-cleaning technology. Additional Dimensions Depth With Door Open 90 Degree: 47 13/16"